Bent Pins from Pivot Point feature a handle and pin bent in a one-piece configuration. 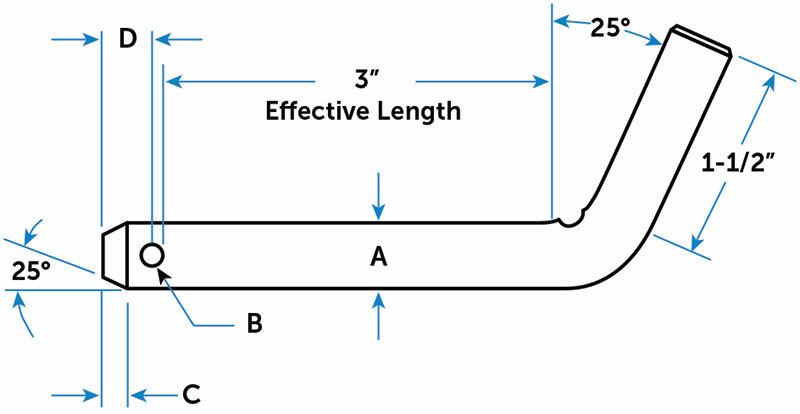 Bent pins are a low cost pin available with a hole or groove for applications requiring frequent removals. 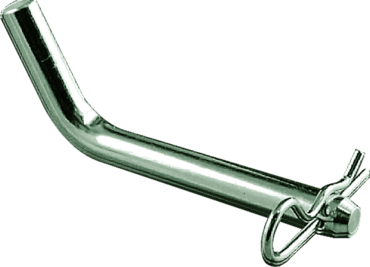 Bent Pins are made as a standard with a hole, in low carbon steel, zinc plated. 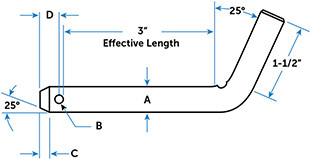 Some Cotter Pins that we have available for use with Bent Arm Pins include Bow-Tie Locking Cotters, Rue-Ring Locking Cotters, Circle Cotters and Hair Pin Cotters. Also available with grooves, higher strength material or heat treated. Also known as Bent Arm Pins, Bent Pins and Hitch Pins.